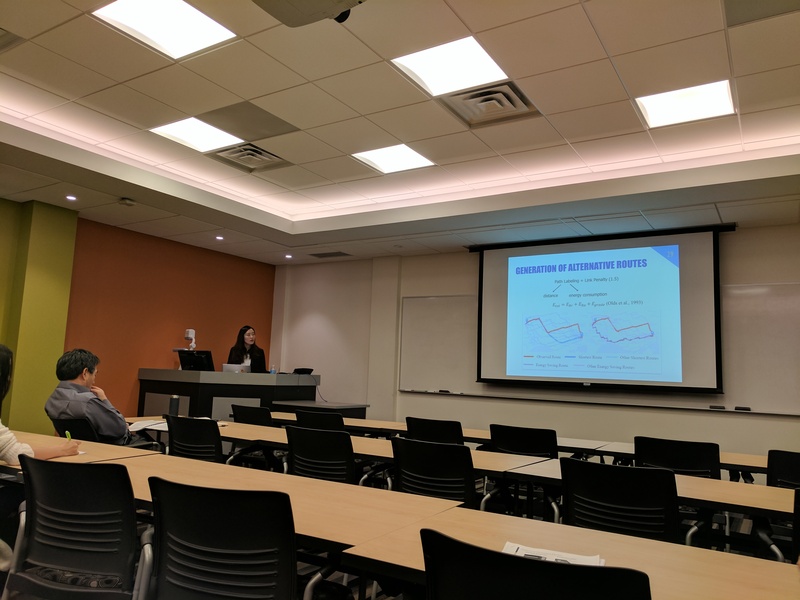 Congratulations to Siyuan (Grace) Li who recently completed her Master’s seminar and thesis titled “Cycling in Toronto: Route Choice Behavior and Implications to Infrastructure Planning” under the supervision of Dr. Liping Fu. Grace’s work focused on cycling behaviour in the City of Toronto using GPS data. Her work has been presented at this year’s annual TRB meeting, and publication of the results of her research is pending in TRB’s journal, TRR. Please join us in congratulating her on this milestone achievement! ⇐ iTSS Lab at the 2017 Annual TRB Meeting (Jan 8 – 12)!